Some writers listen to music while the muse is at work...while others say they have to have total silence. I'm not a total silence kind of girl. I like to listen to music while my fingers fly over the keyboard, and depending on my mood or my story I go from artist to artist, album to album. But one of the top artists that I always listen to while writing, no matter what story I'm writing...it could be a romance paranormal fantasy like Twilight's Kiss...or a Historical Pirate Romance like I'll Be Yours, and I'll still listen to Loreena McKennitt. She has a haunting voice that touches the soul...and always puts me in a creative mood. I still remember dancing to her music when I took dance in highschool, she and Enya were my dance teachers top two artists. This contest has been extended to September 15...so don't delay in getting those submissions in! Chat Tonight At The Wild Rose Press! Join the Wild Rose Press Authors and Editors for a chat tonight at the Wild Rose Press at 9 pm EST. Go into the forums section...click on the chat room link...and register...I hope to see some familiar faces! I really do! Louisa's blog entry for today inspired me to make up a similar blog feature...except I thought I'd feature the Remington Steele DVD collection. I haven't finished watching the fourth and fifth seasons yet...but you can't beat watching this classic television show on DVD. I think this show is a great example of daring to show a female lead that can match the male lead, wit for wit and strength for strength. It was a drama/comedy that had enough romance and adventure to keep fans watching...:) And, since I was just a little kid in the 80's, I'm now rediscovering an old show that's new again. I'm so excited! 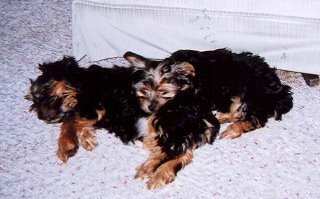 You might wonder why I titled this post Roses and Faeries...well, it was for a really good reason. 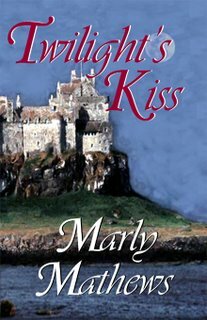 My editor Amy Herald and the editor of the Black Rose Line, Robbi Hess were interviewed over at The Wild Rose Press, and Twilight's Kiss is mentioned in the interview...so go and check it out! A big thanks goes out to my editor Amy Herald, and to Robbi Hess, editor of The Black Rose Line. If anyone that's reading my blog has submissions that would fit any of the lines at The Wild Rose Press...don't be shy...get those submissions in! I'll also be at The Romance Studio tonight at 9 pm EST...The Wild Rose Press is having a chat there! Okay, enough about Stargate...even though I'm still bummed. The Wild Rose Press will be having a Cyber Celebration coming up on Sunday, September 10 at 8 pm EST...more details to come. I'd love to see some familiar cyber faces there...hint, hint. 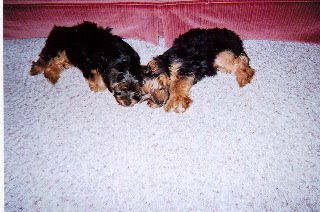 I haven't posted pics of my two little Yorkie Girls on my blog yet...so I thought what the hey, I'll do it today. 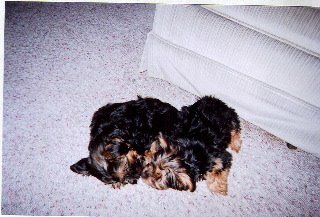 Here are Shylah and Brynna...they are full blooded sisters...and you can tell they have quite the bond! I have great news to post! I've been contracted by two publishers for two different books. 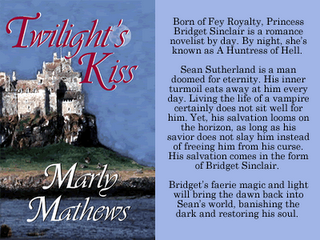 My contemp paranormal fantasy, Twilight's Kiss will be published with The Wild Rose Press. My Pirate Historical, I'll Be Yours, will be published by New Concepts Publishing. 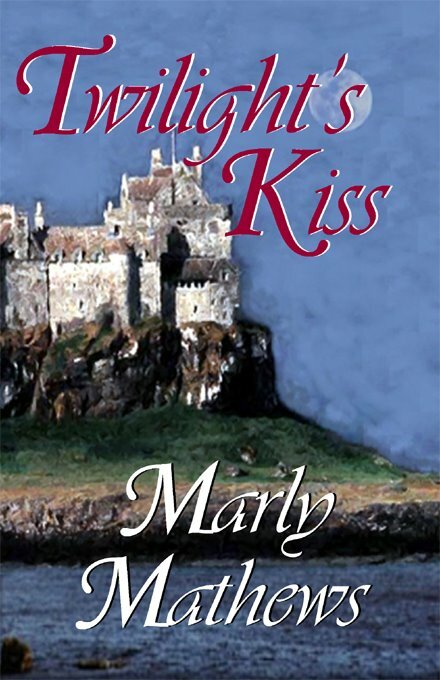 I even have the final cover art for Twilight's Kiss.